Original owners have decided it's time for someone new to love their home as they have for over 20 years. 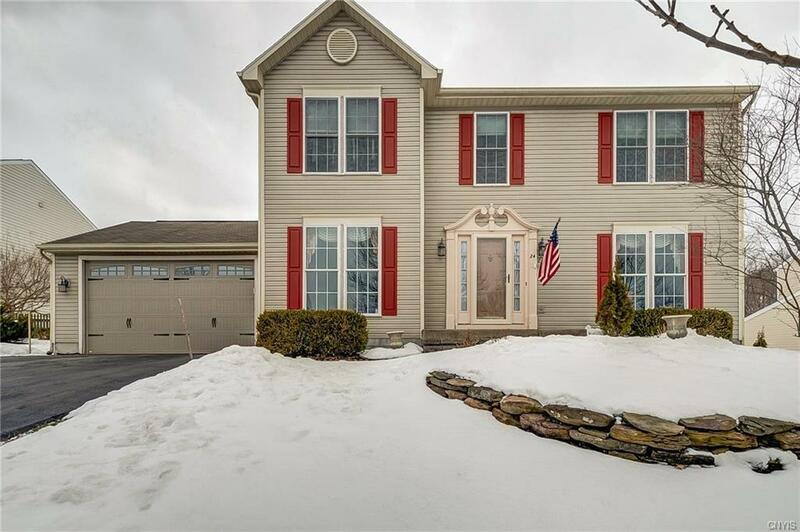 This colonial style has all the right amenities with it's 4 bed 2.5 bath design with upgrades such as a new kitchen including cherry cabinets and granite counter tops, stove and refrigerator! Hardwoods in the kitchen and family room, updated master bath with radiant floor heat, tiled shower and can lights and new Marvin windows throughout!! This beautiful village neighborhood will feel like home plus you're so close to enjoying the many attractions the village of Baldwinsville has to offer. All this and more awaits your private showing! Directions To Property: From Village 4 Corners Take Oswego St North To Right On Smokey Hollow. Follow To Left On Canterbury Ridge And Then Quick Left On Chaucer. Home Will Be On Your Right!